If you are in Hyderabad during the holy month of Ramadaan, you will only hear about the Haleem. There’s another special item which comes out during the month of Muharram, Hyderabadi Dum ke Roat. This is a giant palm sized cookie that is loaded with goodness. 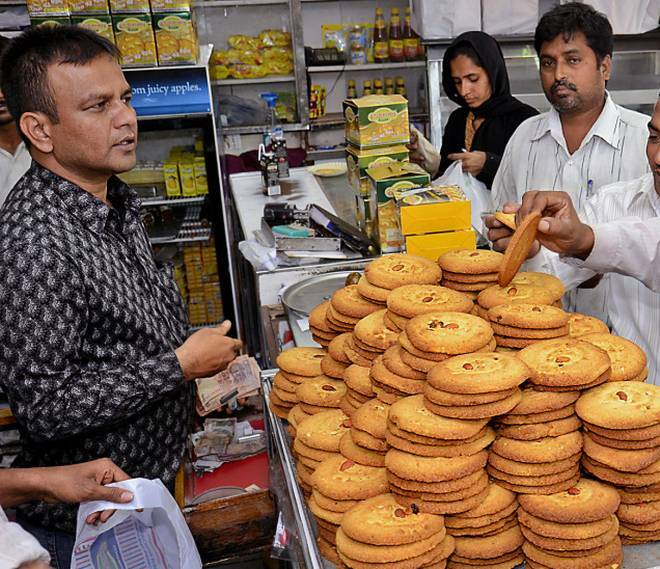 Subhan Bakery’s Dum ke Roat are a favourite of Hyderabadis during this time. People queue up outside the Bakery to get their hands on it. The aroma is so rich, that people nearby know when the Roat is being baked. You cannot pass from the street and not be lured by the beautiful aroma of the Roat. On the 10th of Muharram, that is Youm-e-Ashoora, there’s the Bibi-ka-Alam trail and this is the day when the queue can go upto 200 people. 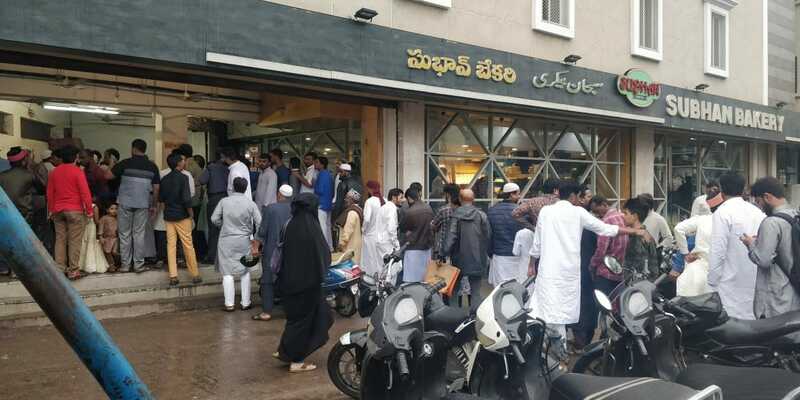 My first encounter with the Hyderabadi Dum ke Roat was at Subhan Bakery as well. 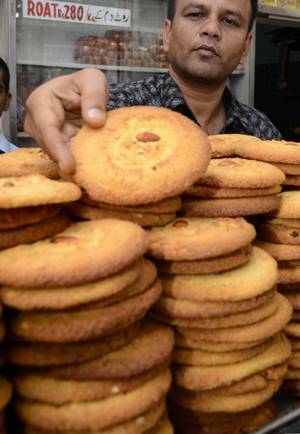 I was there to pick up the Osmania Biscuits when I saw these huge cookies on display. When I asked what it was, the man at the counter was kind enough to give me a piece to try. And boy was I hooked! Took one box home and ever since then, its been a ritual to pick one everytime heading home. Like everything Hyderabadi, the Dum ke Roat has a story too. It started with the very loved Nizam himself. Mir Osman Ali Khan, who was the 7th Nizam, went to the Naal-e-Mubarak Alam near the Charminar to pray for the prosperity and good health of this grandon, Mukarram Jah Bahadur. During that time, he put Roat over there as an offering. Even after all these years, people head to Naal-e-Mubarak and follow a practice of hitting the Roat for their near and dear ones. As the love for Roat grew, a number of bakeries started making them. But hands down, the Subhan Bakery Dum ke Roat are the best in Hyderabad. Subhan Bakery started making Dum-ke-Roat in the 1960’s. From making small batches only during Muharram, they went on to now selling it for 3 months. And even after that people come asking for Dum-ke-Roat. 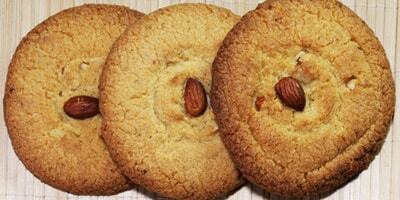 Roat looks like a huge cookie and it’s pure veg and not a hint of egg in the baking process. 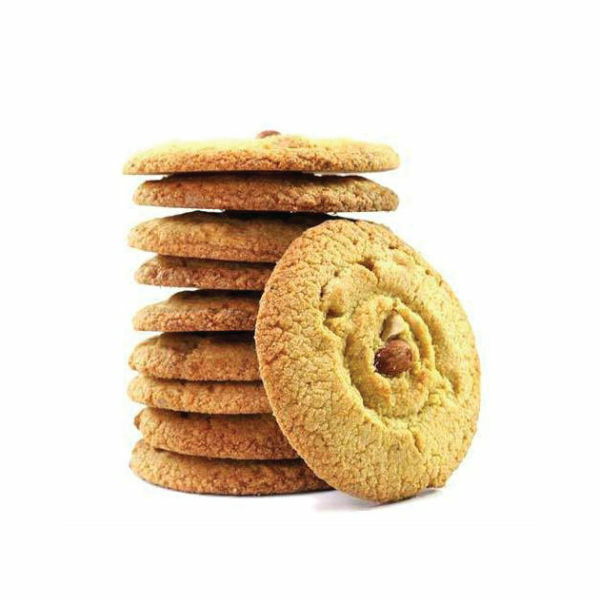 The basic ingredients are similar to any cookie – flour, sooji, ghee, sugar, honey and milk. 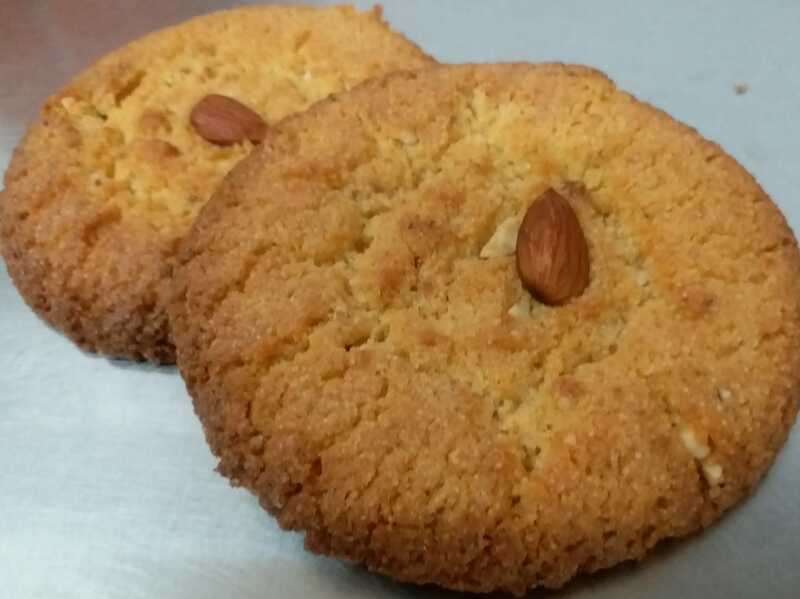 The recipe might sound very simple but then it’s the quality of ingredients used at Subhan Bakery that sets it apart. Being the pioneers in baking the Roat, their recipe is a well kept secret. 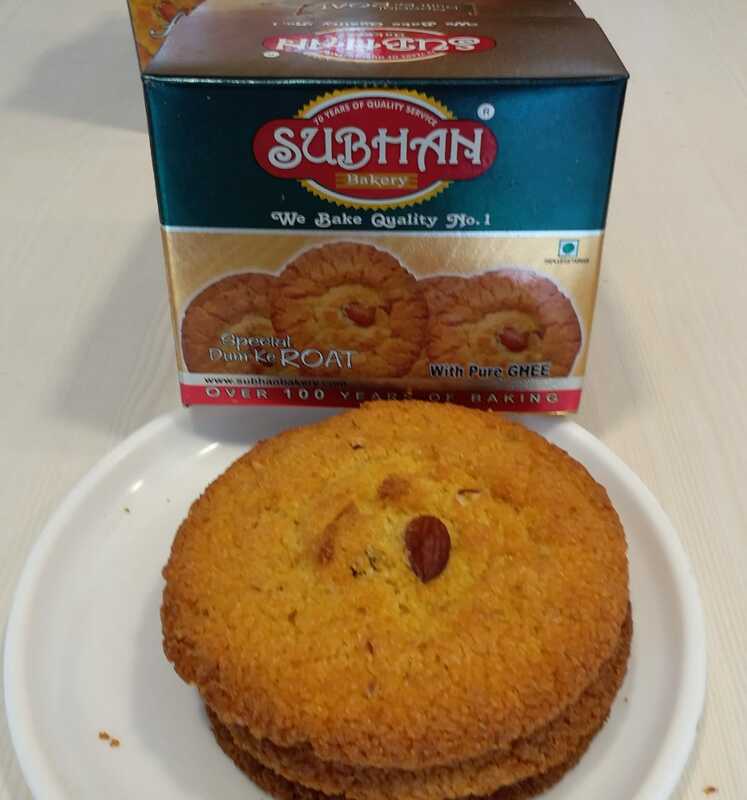 There’s something very special about the ones at Subhan Bakery that makes people travel across city to relish the Dum ke Roat. Even people from all across world get the Subhan Bakery Dum Ke Roat through friends and relatives. Just one Roat is equivalent to a full meal, that’s how rich it is! The secret of a good Roat is that it’s hard on the outside and moist on the inside. The best way to eat it is fresh out of the oven at Subhan Bakery. Also, at home you can heat it for 30 sec and eat it. Rest assured that the aroma will fill your home and make you want one more. So make sure you grab the Dum-ke-Roat while it lasts during this time of the year.